GlassPoint Solar, a leading supplier of solar energy has partnered with National Aluminium Products Company (Napco), Oman’s largest aluminium provider, to generate sustainable in-country value (ICV) within the Sultanate. Building the Miraah solar plant with Petroleum Development Oman (PDO), GlassPoint is committed to developing a solar hub in Oman and contribute to the country’s economic diversification. “We are proud to be partnering with Napco in developing our ‘Made in Oman’ solar supply chain. Creating opportunities for local companies and contractors is part of our growth strategy within the Sultanate. Together with our partners, we are working to establish Oman as an industrial hub for renewable energy,” said Steven Moss, GlassPoint’s chief executive officer. 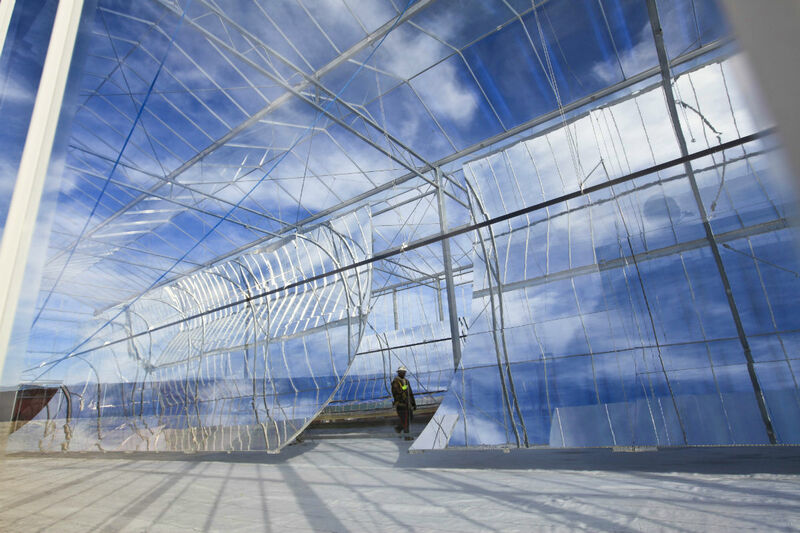 Since breaking ground on Miraah, GlassPoint has been working to qualify Omani suppliers for elements of the project, including the large curved structures that support the mirrors. These structures are built from aluminium extrusions made with precision machining at Napco’s facility and assembled at the project site by local contractors. Once installed, the mirrors automatically track the sun throughout the day focusing sunlight on steel pipes filled with water. The heat from the sun boils the water to produce high pressure steam that is injected into the reservoir to help extract heavy oil. GlassPoint has met all its ICV commitments since breaking ground on Miraah in 2015. The company continues to seek opportunities to expand beyond these targets and deliver sustained value to the Sultanate. In addition to using local goods and services, GlassPoint is committed to developing the Omani workforce. Today, over half of the company’s local workforce consists of Omani professionals, including engineers and senior management. GlassPoint’s team in Oman is developing expertise in project deployment, manufacturing, and solar technology innovation. GlassPoint is committed to driving innovation for Oman that extends beyond its solar oilfield projects. The company recently launched its first corporate social responsibility initiative, the GlassPoint Innovation Spur. The full-cycle incubation program is designed to empower Omani innovators in developing renewable energy and sustainable water management solutions. Supported by a host of local partners, the two-year program will equip participants with valuable skill sets through mentoring and technical support, allowing them to transform their innovations into implementable businesses. The program is another significant attempt the company has taken to contribute towards diversification of the national economy.